This standard close-up lens captures the finest details at any distance, including details practically impossible to detect with the human eye (at 1X magnification). It's a great choice for enticing food photography or detailed product shots. 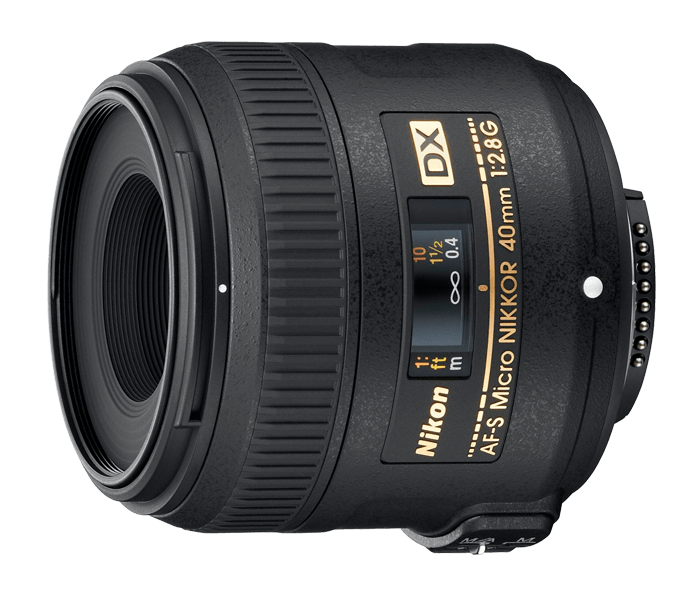 And with its continuous autofocusing from infinity to 6.4 inches (life-size /1X), the AF-S DX Micro-NIKKOR 40mm f/2.8G ensures sharpness and clarity in every composition.